Customize this 20 ounce. Provide aluminum bottles to your guests in your next marketing campaign or promotion. This 20 ounce connects your brand to an active and healthy lifestyle. 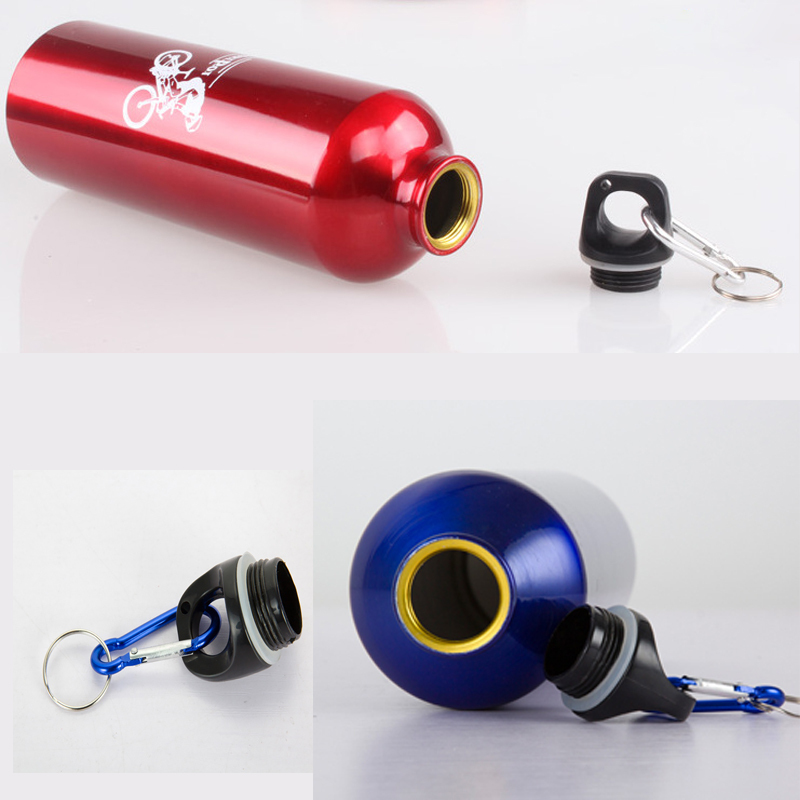 Aluminum sports bottle. There is a carabiner that can be easily clipped onto any bag. Available in a variety of colors. For sporting events, trade shows, conferences, excursions, sports, etc., it is the ideal product to keep moisture. The thermos are made of aluminum and are lightweight and durable. The size is 600ML. There are different options. This product can be customized by the imprint of your company name, logo, etc. to increase the company's exposure!Providing a custom logo is a great way to make a promotion. Package: 1 pc/box ,120 pcs/ctn, 40 lbs/ctn.